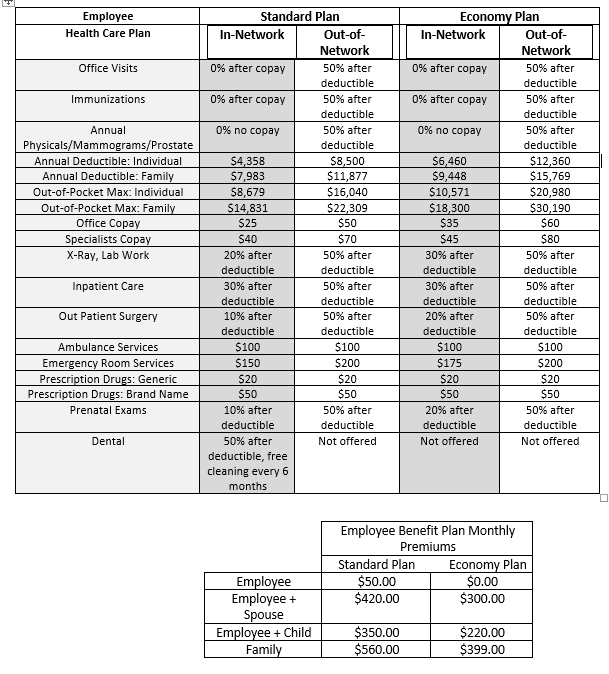 Make a chart showing the cost for a Standard Plan vs an Economy Plan during a year worth of medical care. You decide to get a flu shot and go to your primary care taker. If you also want a shot for your spouse or child, write down how much that will cost.